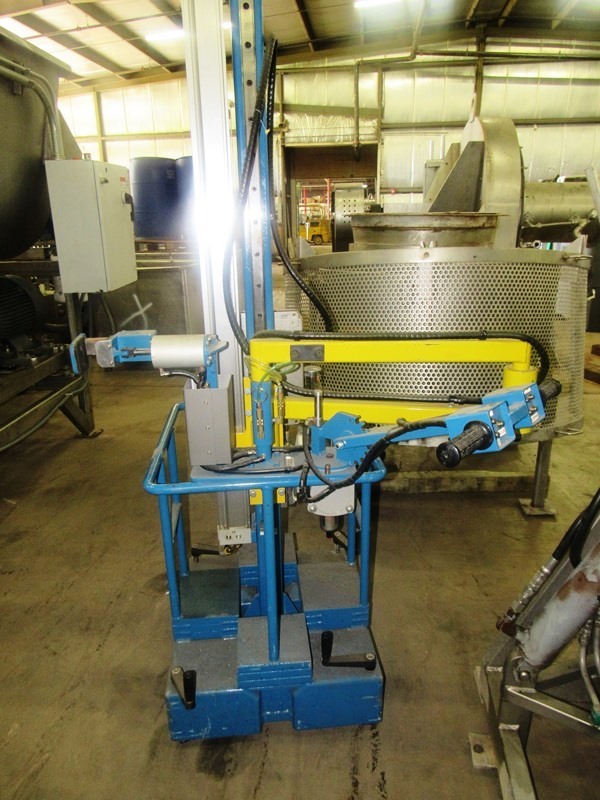 Strongarm Manipulator Model PVTPC-75, pneumatic/vertical travel/portable cart/75 lb. 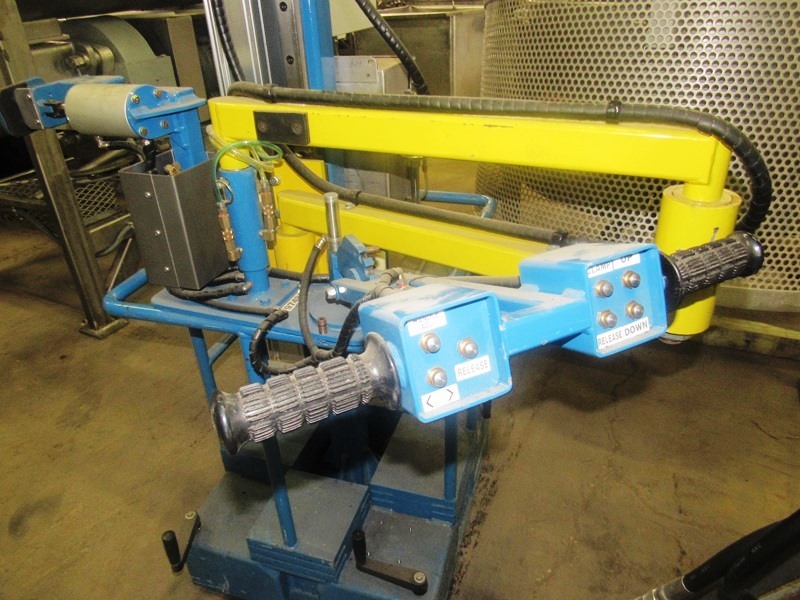 capacity manipulator- Machine serial# 102284 Tooling head serial# 97483. 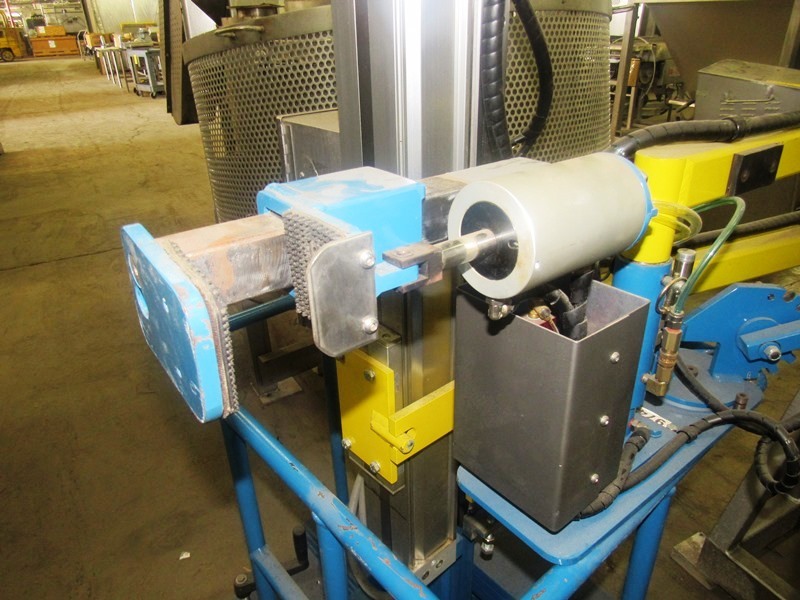 This machine and tooling head were produced in early 2013. 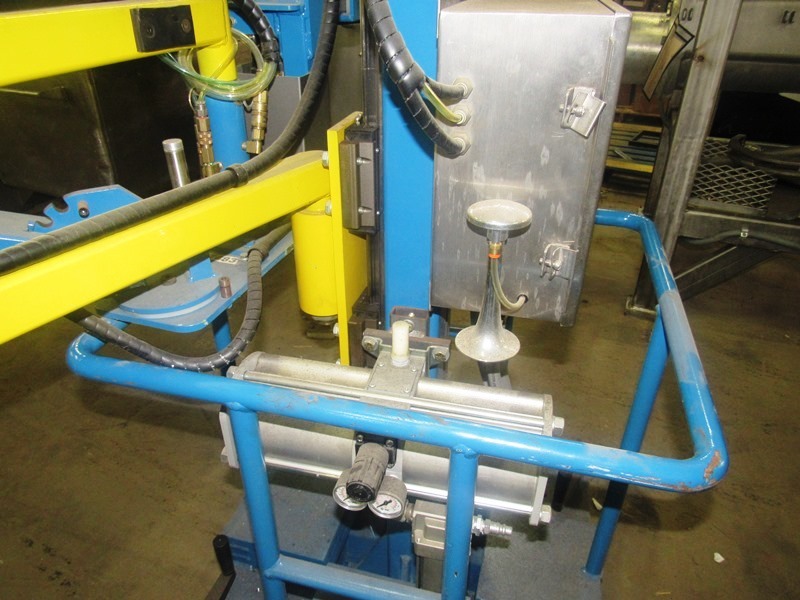 The tooling head is designed to grip and lift formers for a vertical form fill and seal packaging machine. 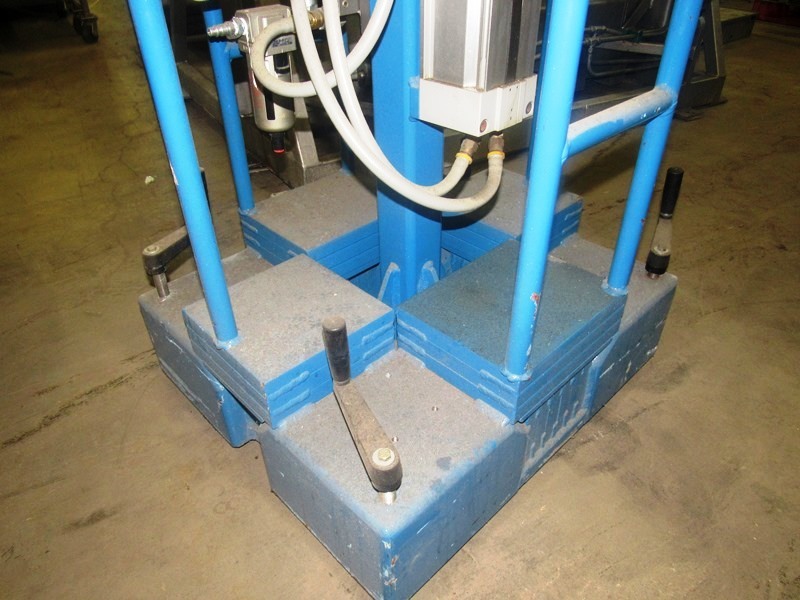 It is mounted on a portable cart to allow it to be maneuvered from one machine to another when changing formers for different bags sizes. 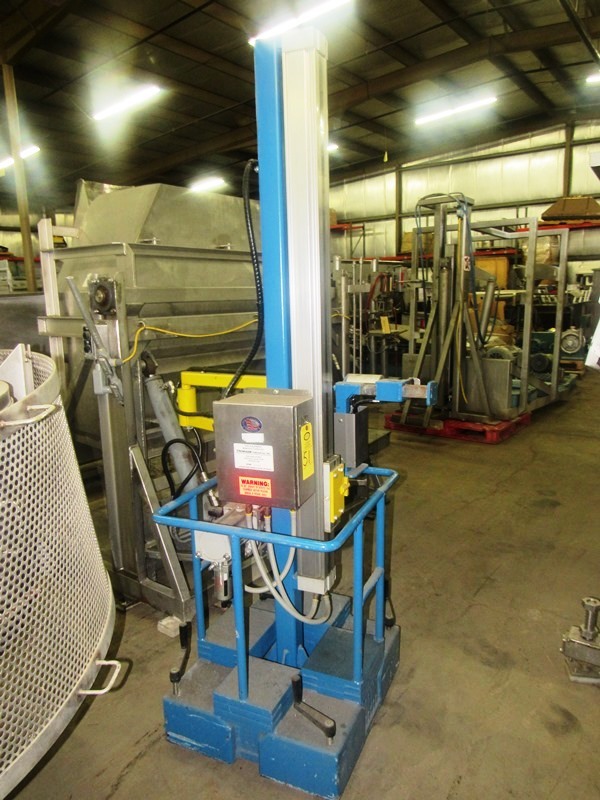 This machine run strictly on air and requires 100 PSI throughout operation.